A well-liked classic character returning makes everything better. As you might have expected, it's a tad pointless to review this game. It's a direct sequel to the previous chapter, and plays exactly the same way. As it is not recommended to play this before playing the previous two chapters, you should already know what you're getting into when you buy it! At the end of chapter 2, Guybrush sailed off in search of La Esponja Grande, now with a clear idea of where to find it. It didn't take long before a giant manatee came up out of the sea and swallowed him along with his entire ship - Now, he has to find a way out and then also find La Esponja Grande, all in one chapter! 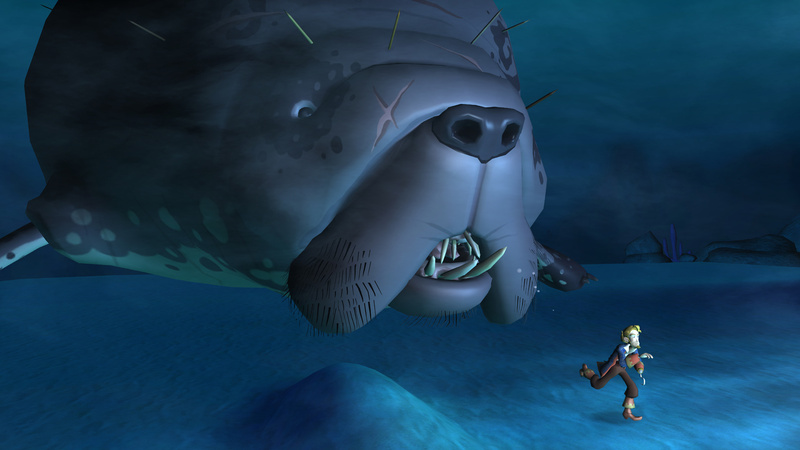 Inside the manatee, Guybrush quickly discovers DeCava, the explorer he has been looking for since the first chapter. He'll also find a band of pirates who used to be DeCava's crew, but have since split off in order to enjoy themselves a bit more. 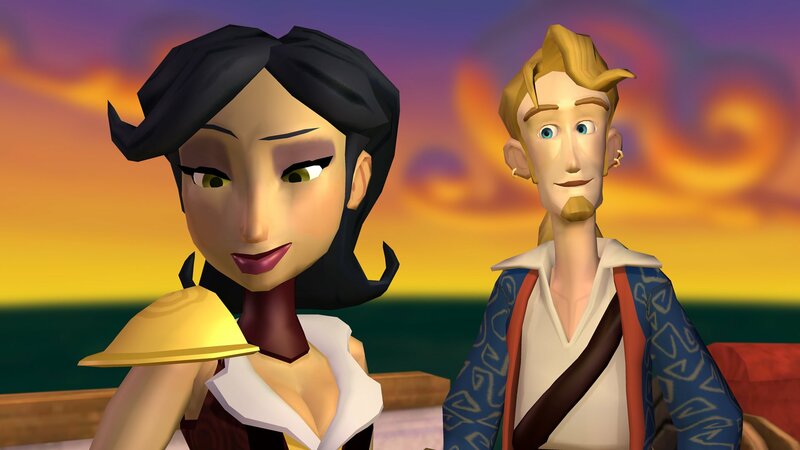 Most importantly though, Guybrush also finds a character from the previous two games in the Monkey Island series, who makes a very welcome return - Murray, the talking skull! With the (Possibly forced) help of all of these characters, Guybrush must figure out why nobody can leave the manatee, and then find a way to get out anyhow. You should be done with this in about an hour and a half, but it's not over just yet. As luck would have it, Guybrush and the rest appear directly above the location of La Esponja Grande, which should take you about another hour to recover. Murray easily makes this chapter the best yet - A talking skull with a booming voice who wants to take over the world just never gets old, especially considering he needs assistance to do pretty much anything. In the previous chapters, the NPCs were very clearly slightly edited versions of each other, and they are once again here. However, Telltale has taken a bit more effort to disguise this fact this time, so it thankfully won't stick out as much as before. 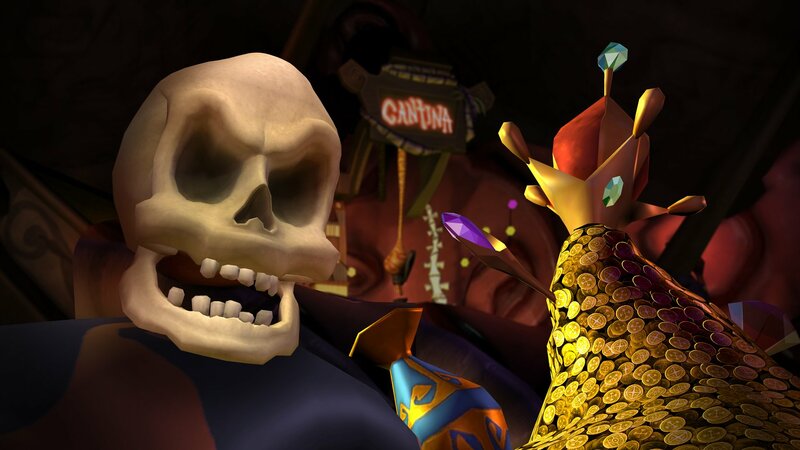 Of course, the main thing everybody is wondering is whether the WiiWare version of this chapter still has issues. Both the first and second chapters lagged quite a bit and had very noticeably fuzzy audio, and sadly, the same must be said of this one. Once again it's plagued with the same issues as before. By this point, though, only two things can really be done. Shrug it off and just get the remaining games on WiiWare, or man up and get the whole series on PC. 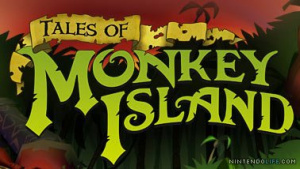 In terms of gameplay, chapter 3 of Tales of Monkey Island is obviously not much different from the previous games. There are some fun puzzles included, but they're still nothing more than figuring out what object to use with what other object. This episode is easily the best yet in terms of humour though, Murray alone makes this absolutely hilarious and is guaranteed to satisfy any fan of the old Monkey Island games. Yes, the audio and visual hiccups are still present, but by this point, we really don't expect Telltale to do anything this annoyance in the WiiWare version anymore. Shame about the hiccups... Though by the middle of the first game I really stopped noticing them because all my attention was drawn to brilliant humour and everything. Nintendo Power says episodes 4 and 5 handle better technically. This was by far my favorite chapter so far. For me at least, it ran smooth as a babies toosh from start to finish. Wish their games were for Macs. I don't want to get this one because of the technical issues, but I blame Nintendo for this, not Telltale. I can't even get the PC version of the first one to run smoothly on my computer. Using Crossover Games, you can install Steam on your Mac and run these episodes (along with many other nice things on Steam). Personally I prefer to play these on the TV, even with occasional hiccups.